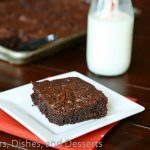 Hello Dinners, Dishes and Desserts readers. I’m Roxana, the wanna be baker and photographer behind Roxana’s Home Baking. 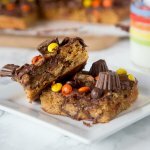 My blog is focus on baking everything from scratch. I’m a self-taught baker, learning more with every cup of flour I use. 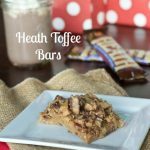 Most of the recipes found on my blog rely on simple techniques everyone can master with a little bit of patience. I also have a big sweet tooth, easily noticeable through the hundreds on desserts recipes I’ve shared. I have a slight addiction to chocolate; I could put some in soup if it’s up to me. Homemade chocolate goodies is the best medicine. 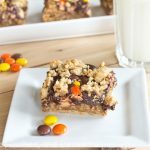 Today I’m going to share a recipe for Nutella Magic Bars. Easy to make and hard to resist. 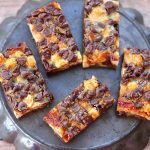 The first time I made magic bar I was curious why they are called magic. Couple of hours later when I had my first bite I figured out why. They disappear as fast as you say “abracadabra”. They are one of the easiest treats to put together. 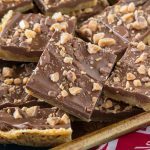 Even the most novice baker can whip these bars in no time. The taste is out of this world good. 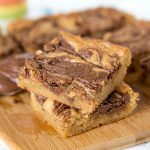 You can’t go wrong with buttery crust topped with nutella, hazelnuts and more chocolate all baked in a pool of condensed milk until brown on top. The fun part – you can play around with the ingredients to fit your taste buds. 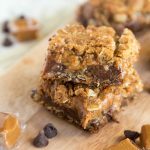 Loaded with Nutella, hazelnuts and chocolate chips these bars disappear quickly! Heat the oven to 350. Line an 11X7 baking pan with parchment paper. Set aside. Place the butter and the graham crumbs in a mixing bowl and stir until combined. With the help of a teaspoon drop here and there of Nutella. Optional, you can spread it all over the graham crust. Spread the chopped and whole hazelnuts on top of Nutella followed by the chocolate chips. 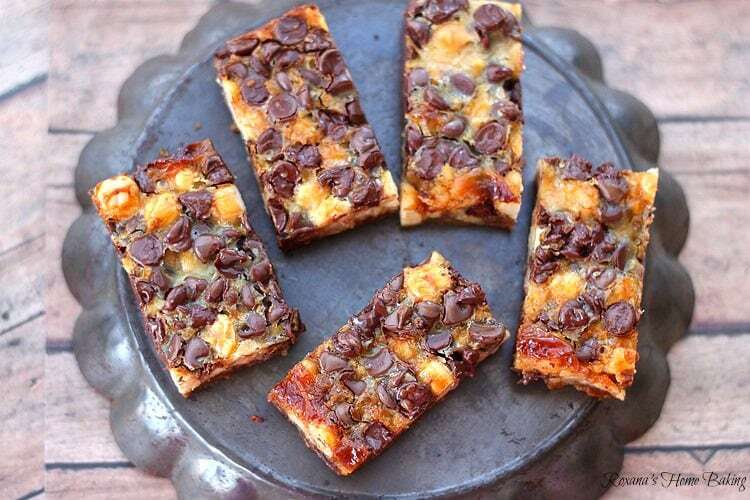 Pour the sweetened condensed milk over the chocolate chips and bake for about 35 minutes. 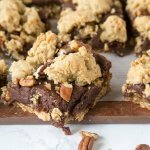 Leave to cool completely before cutting into bars. Thank you Erin for allowing me to baby-sit your blog today. Wishing you a great vacation in Japan! Hope I’ll see you soon on Roxana’s Home Baking. If you liked this recipe you can subscribe to receive new updates via email. ***Thanks Roxana, these bars look wonderful! You know how much I like Nutella! YUM! Nutella is a wonder food! Wow, these look incredible! 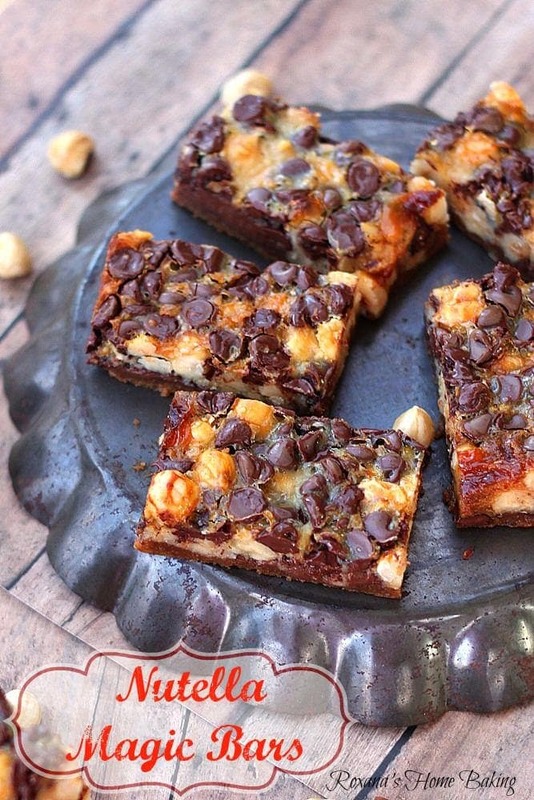 I’ve always wanted to try magic bars and have got to have these! PS – Have the best time Erin!! 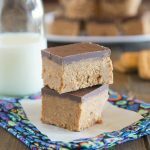 These bars look absolutely divine! These look so good. I love that there are hazelnuts along with the nutella. Oh my gosh, these look so delicious. I must make these immediately!!! Thank you for the recipe! I agree these look amazing. But spreading the nutella on the crust totally didn’t work for me. I have graham cracker crumbs smeared with Nutella everywhere. We’ll see how they turn out after they’ve baked and cooled. Definitely don’t try to spread. Extend the extra patience and drop it. I also wondering about blending it into the sweetened condensed milk. 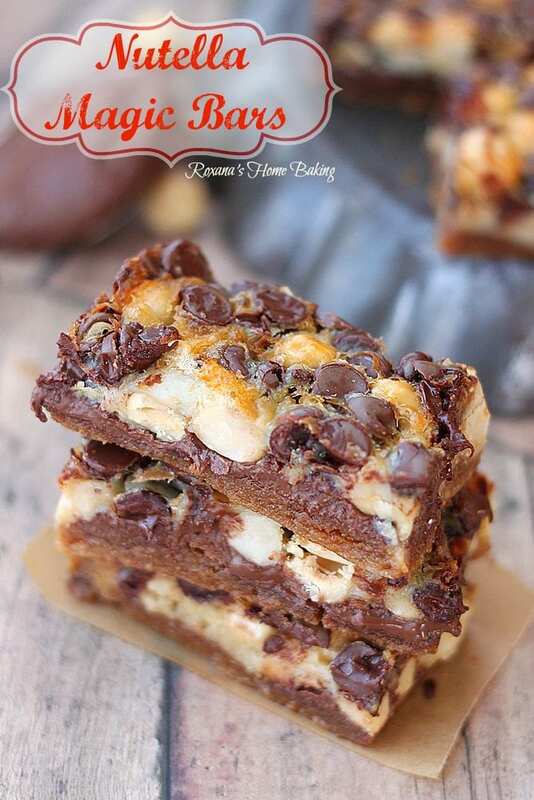 WOW, what a great variation on magic bars! 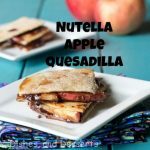 Pinned – I know my family will love these! 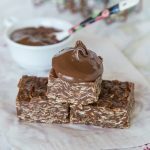 You just can’t go wrong with the words “Nutella” and “Magic”…I cannot wait to make these! These look awesome! 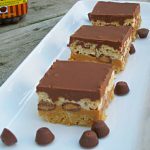 !, i can not wait to make these, i adore nutella, and hazelnuts! !, thank you for posting these! !